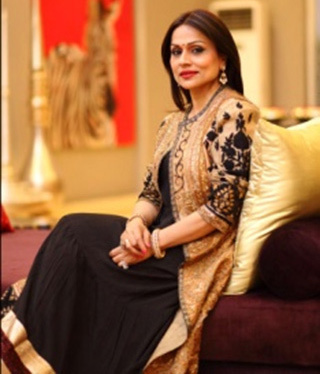 Arable’s partner Raseel Gujral Ansal is a name that resonates as a testimony of remarkable design. Casa Paradox, was founded with the idea to further the design philosophy into the production of furniture and lifestyle products. The lineage of artistic influence reverberates in every project with a design philosophy focusing on innovation and sustainability while emphasizing a refined use of art, magnificent objects, patterns, strong silhouettes, textures and a sophisticated color palette, that is balanced to provide a refined original signature. We have an ability to predict the current trends and aspirations of today keeping in mind rich tradition of architecture and handicrafts and being able to deliver a cohesive product with an efficient usage of time and material. In March 2014, were awarded the uber prestigious International Property Award for the Best Architecture & Best Interior Design in the Asia Pacific region for our Project “ Chaand Bagh”- which highlights our knowledge of Indo-colonial and Mughal architecture and interior design. Our dedication to design, quality and our astute ability in recognizing the aspirations of whomsoever we work with have resulted in us being recognized as an iconic design house. This ha s resulted in us enjoying a tremendous brand and recognition value.. Furthermore, our technical expertise through our experience in the field spanning over two decades adds to us being a premium player in this segment. We are well aware of vendors, suppliers and craftsmen for high end finishes. The other skill that we bring forward is our architectural design expertise, which enables us to understand and work within and around architectural parameters. Architects 49 was established in 1983 by Nithi Sthapitanonda. From the beginning, the vision has always been an architecture with clean simple elegant lines that will last. With his keen interest in Thai art and architecture, he has laid a foundation for present generation to follow. These services enable Architects 49 to work with clients from the beginning of a project until its successful operation. DPA is an integrated design consultancy firm having decades of experience in campus, building and interior design. The group is motivated by the desire to create holistic design solutions and to develop a harmonious client - designer relationship. The firm’s philosophy is efficient integration of design with engineering services. DPA works within stringent time frames towards optimizing resources and thus achieving goals. DPA has varied global experience. Their core strength of innovative design and ensuring build-ability of the same is reflected and recognized in many award winning projects. Request a quote to get your very own advanced phototherapy unit.